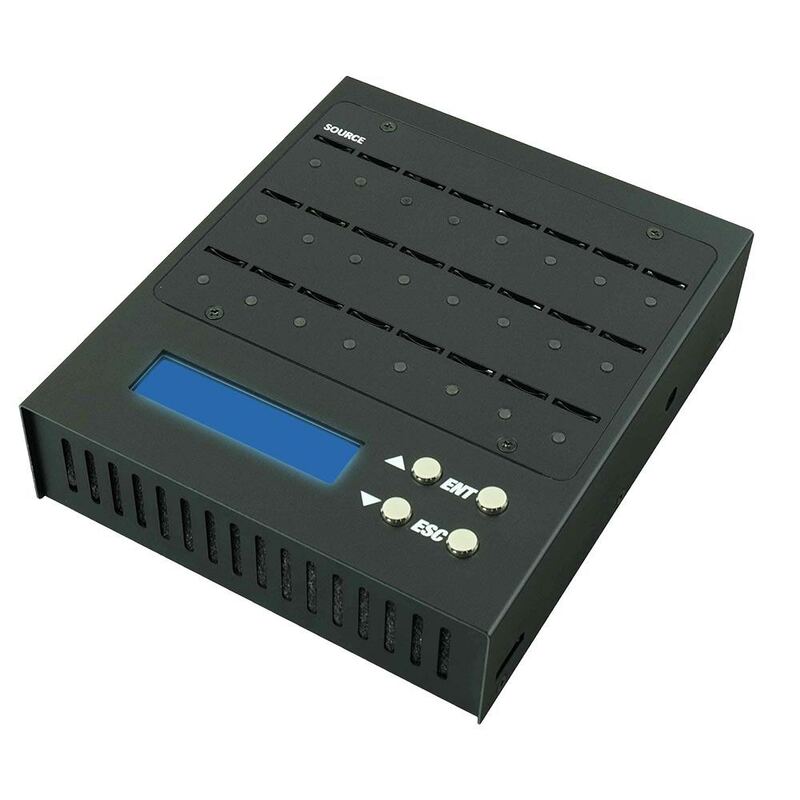 The Accutower Mobile Pro Duplicator is a compact standalone duplicator with 23 targets and high output capacity. Choose from SD or MicroSD card option. 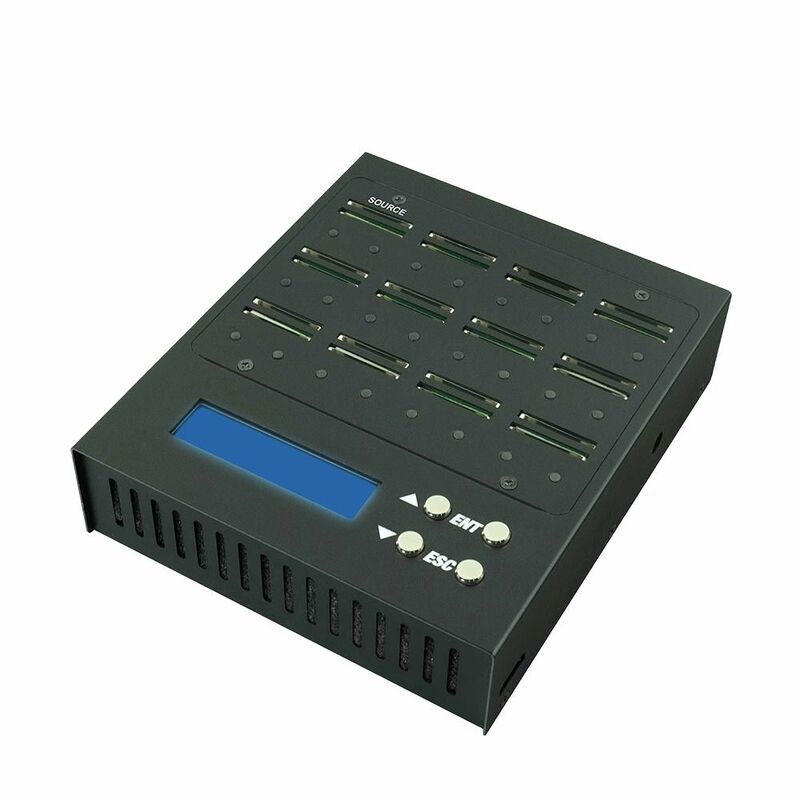 The Mobile Pro Duplicator has an expandable design and can be daisy chained together for a total of 239 ports. Sort mixed memory cards to quickly reformat for high production efficiency. Supports SDXC. Stand-alone operations - no PC required! We live in a mobile world. Everything’s going mobile: Our phones, our computers, our entertainment. Why should our duplication technology be any different? Introducing the Accutower Mobile Pro SD Duplicator, a compact duplicator designed to travel with you anywhere. This portable powerhouse is the perfect choice for your media storage and duplication needs when you’re on the go! It’s sleek and simple design is user friendly and easy to transport. The Mobile Pro is a standalone operation- no PC required! And don’t be fooled by its small stature: This duplicator can produce a large amount of cards! The Mobile Pro has a high output capacity. It’s equipped with 23 targets, and it's able to duplicate a high volume of cards quickly and efficiently. Best of all: The Mobile Pro has an expandable design that allows it to be daisy chained together with other Mobile Pros. You can link these portable duplicators together for a total of up to 239 ports! Sort mixed memory cards to quickly reformat them for high production efficiency. The Mobile Pro supports SD, Micro SD, and SDXC card options.